The Urban Composter is a stylish kitchen compost bin that looks great on the countertop in any kitchen. Holding more than 22 litres of organic kitchen scraps, it is ideal for families or any household that generates a lot of organic waste. The Urban Composter City is a compact bokashi solution for smaller homes and apartments—it’s a mighty bokashi bucket in compact form, holding a very respectable 8 litres of kitchen scraps. 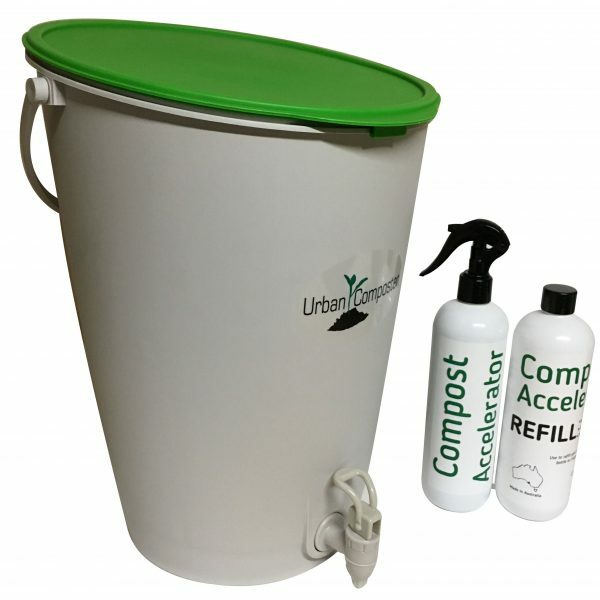 The Urban Composter Family is available for purchase separately or as a kit with the Compost Accelerator and masher. 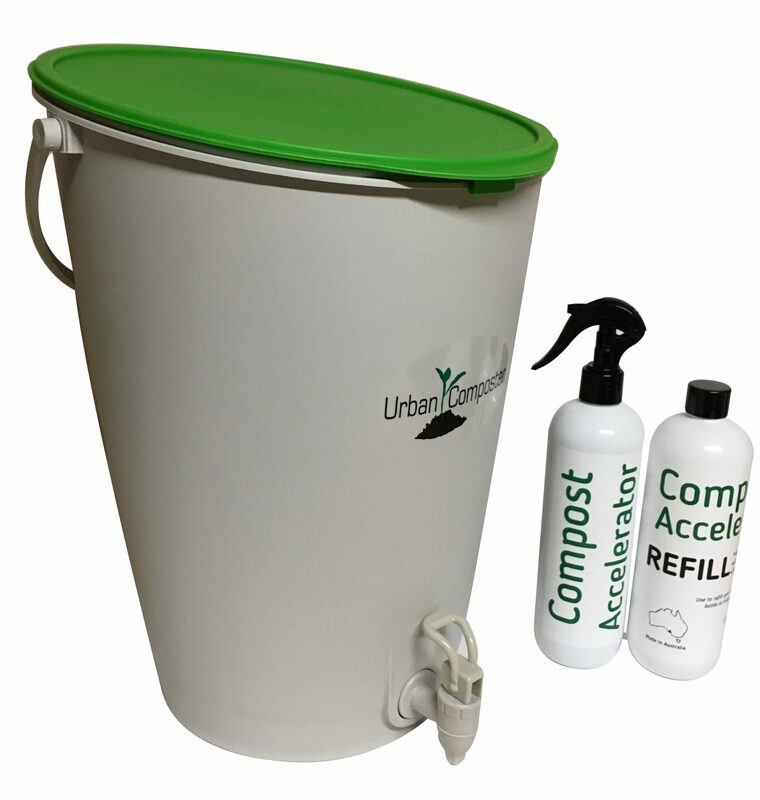 Made for use with Urban Composter’s specially formulated proprietary bokashi Compost Accelerator spray, the Urban Composter Family is airtight, convenient and easy to use. The bucket is made from recycled plastic.